My mother had vascular dementia and died on 19th October this year. I miss her dearly - bless her wonderful heart. I have been her carer for over 30 years (I am 48 now) and, along with my father, we were living in a 2 bed flat - council accommodation - since 1976. My mother and father were joint tenants. My father died in 2010 and the tenancy passed to mum. I assumed that, if I cannot keep the existing property, I would be re-housed in a 1 bedroom flat once mum died. I couldn't be more wrong. I am not entitled to anything. I have sought advice from two solicitors, citizens advice bureau, Shelter and my local MP and all have told me I am not eligible to succeed to the tenancy as I am not on the tenancy, and the council have no obligation to re-house me as I don't have a priority need. I therefore would need to find private housing for ridiculously high rent. My MP even told me that I am am capable of full time work, so why should I receive subsidised housing when so many other people need to be housed. Forget the fact that his salary and accommodation are paid for by taxpayers. For anyone in a similar position - ie living with their parent/s in council housing, PLEASE check what will happen to you when your parents are no longer around. If you can be put onto the tenancy agreement, please do this. If you able to buy the property, please do this. Do whatever you can to secure a roof over your head. If you have children, when they turn 18, you should be able to put them on the tenancy agreement and then they will be secure. I had to find this information out the hard way - no one volunteers this stuff beforehand and it isn't easy to find. And if you unfortunately find yourself about to be made homeless, (ie, given notice to quit) don't wait for an eviction notice as this can look bad on your records/credit check etc. The best you may be able to get from the housing office is an extension or delay to the notice to quit. Please take need of my cautionary tale. It's hard enough losing my mum, but it has turned into my worst nightmare now. Thanks for posting this one on the forum , Lampchop. It is no consolation for you in what is a truly disasterous situation that others have encountered. Being literally made homeless even after years of saving the System thousands by your sacrifice as a carer. The bible on this issue appears to be a Briefing Paper ... No. 01998 , 17 March 2016 ... Succession Rights And Social Housing ( England ) ... in PDF. format ... will open in that format after a download ... 16 pages ... detailed and easy to read if not quite understand ... the middle section dealing with succession. NOTE the subtle changes since 2012 ... Government policy at it's " Finest " for carers. I cannot comment , or suggest anything beyond bouncing this one off the Advice Team ... any twist that may help ... I leave that for Lambchop ... a little late but ... anything may assist. Needless to add , our Lord Kitch will be updated ... the one place for all major issues ... an inhouse tombstone. LK update ... " Caring days ended and residing in social housing , and not on the tenancy ? Oh dear ... bad luck ... your local cardboard city awaits while you find yourself a job and somewhere to live. " I'll leave it to readers to judge whether that's too weak / just about right ... nothing on there is too strong ! Last edited by Chris From The Gulag on Sat Jul 21, 2018 9:17 am, edited 5 times in total. Oh no, if only you'd asked that question here before your mum died! You've been a Carers UK member posting for seven years....it's one of the things that ALWAYS gets said here, to ensure carers are put on the tenancies!!!!! I do wish you all the best that can be now, but it is, yes, utterly inquitious but that is the state of housing in this country at the moment. We are grossly overpopulated, continuing to be even more so, and grossly 'underhoused'. I don't know if this is the slightest use to you, but, have you considered getting work that comes with accommodation? A friend of mine (female) does this - she goes through the job ads in the Lady (of all things, but it's where these kinds of jobs are advertised) and basically goes to work for 'rich elderly people' who need 'someone younger and fitter' to help them keep going, but accommodation is included. It's not perfect, but she's had to do this since her divorce. Not as many as I would have expected ? Possibly more ... I limited the search to SUCCESSION. Detailed in the Briefing Report ... link posted earlier in this thread. Last edited by Chris From The Gulag on Sat Jul 21, 2018 9:17 am, edited 1 time in total. Thank you for your wishes Jenny. You asked why I didn't ask this question before mum died. Dad, before he died, handled everything to do with the councl and the joint tenancy and I had no idea about any of this. Plus, it would not have made any difference - I could only have been added onto the tenancy agreement when I turned 18. I was told, when dad died, that succession cannot be given to the (now) adult children. I assumed, wrongly, that I would have to be given accommodation. Unfortunately, this is the sort of issue that you don't know about until it's too late and there are very few other examples that you can find - and most of them have unhappy endings. Which is why I hope my story will help others. Last edited by lambchop on Sat Nov 11, 2017 11:45 am, edited 2 times in total. Pretty blunt. The government do not want to help carers. We are expected to care for our relatives etc but we do not have any rights to a roof over our heads. The case studies which have been successful have involved tenants' children who are now elderly or vulnerable. So if you relatively fit and young, you wont be given anything and it will be your responsibility to find full time work to fund a secure roof over your head. Last edited by lambchop on Sat Nov 11, 2017 11:39 am, edited 1 time in total. If nothing else , our Lord Kitch now has a " Lambchop " section ... as testimony to the hundreds , if not low thousands , of carers who have fallen foul of this Government policy ... aimed at others but encompassing carers as well. Hardly an honour but ... in CarerLand , an acknowledgement of a fellow carer's injustice ... our " Roll of Honour " to those failed by the System. Nothing will change as far as carers " Rights " are concerned ... what is acknowledged later this month by others is now a travesty as far as I am concerned , and bears no relationship is what an average carer is finding out for themselves in the real world ... not one existing only on paper! If anything , a wreath in memory of what we once had would be more appropiate ... particularly with reference to affordable , and matched to our caree's needs , support services. Luke Davey a lesson for us all ... even the " Rights " under the Care Act now in doubt. Apart from the right to care until we are too incapable to do so , any other right spring to mind ... without having to take action to enforce it ? I wish you well ... keep in touch ... once a carer , always a carer ! If I find some miracle to save me from eviction, I will let you all know, of course. Will be as famous as Gambon Corner in Top Gear days ... to the carer army. 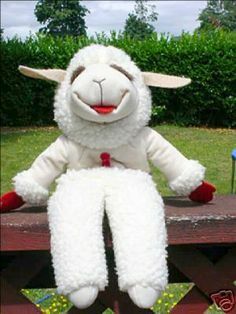 Perhaps , even , between two carers ... " Whatever you do , don't do a lambchop ! " Next stop . the Oxford Dictionary ? As the Python mob once sang ... " Always Look On The Bright Side Of Life ! " I would like to be famous for nicer reasons but if mine and others' experiences help at least one person, then great. I will be in contact with other carer organisations to see if they can incorporate this type of story in their publicity. As I said before, unless you know what to ask for, or are already handling council/tenancy issues on your property, then you would not know any of this and most people would be in the dark and in danger of being evicted.